If you place a charging station on your company premises, you will want to reserve the spaces in this parking lot for electric cars. An EV-Box road sign is easy to fix to the RVS pole. The road sign has a nice format (40x80cm) and comes with aluminium hinge bracket. 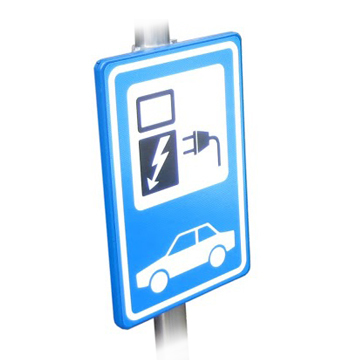 Click the button below to add the EV Box Parking / Charging Sign Double (40x80cm) to your wish list.